[caption id="attachment_261" align="alignright" width="300"] Class of 2014 Maths and Science Academy[/caption] This month sixty young South Africans graduated from the Kimberley Maths and Science Academy. Set up by Anne MacLean in 2006, with the specific goal of providing talented students from poor backgrounds with an opportunity to achieve their potential in the gateway subjects of maths and science, over the past four years Academy has provided these Grade 9 – 12 learners with ongoing support in maths, science and English through afternoon classes and holiday academies. My company Mainstream Renewable Power has supported this initiative for the past four years because we believe that South Africa needs young engineers who will help build a new sustainable future for the country. This is increasingly important as South Africa, like many countries in the developed and developing world, now faces the prospect of a long period of economic slowdown, described as secular stagnation. 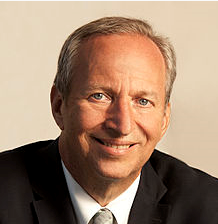 [caption id="attachment_258" align="alignleft" width="218"] Former US Treasury Secretary Larry Summers[/caption] The former US Treasury Secretary Larry Summers has revived this economic theory, which was first articulated in the 1930s to describe the extended slump that followed America’s great crash where the difficulty of “maintaining sufficient demand to permit normal levels of output” was only addressed by Roosevelt’s New Deal and the very significant stimulus to the US economy that occurred through the country’s mobilisation for World War 2. A recent report from the IMF has analysed the impact of secular stagnation on economies like South Africa, where “serial disappointments in growth have led to a ratcheting down of medium term growth forecasts”. Their remedy to this cycle of weak demand and anaemic output is to develop infrastructure, both to stimulate demand, and to create the framework for a more robust economy. Infrastructure investment boosts demand, says the report, “through the short-term fiscal multiplier, similar to other government spending, and by crowding in private investment…” In a report written in 2012 the economic analysts CEBR argued that investment in renewable energy in the UK would have a larger than normal multiplier effect due to the stagnation of the economy. I suspect that this effect would apply in South Africa as well. It was the opportunity to develop new infrastructure with government and other partners that enabled us to create Mainstream South Africa. The government’s Renewable Energy Independent Power Producer Procurement Programme (“REIPPPP”) has delivered 1400MW of operational plant with an immediate further pipeline of 3700MW of new electrical infrastructure, which is providing additional electricity onto the national grid to help relieve unserved demand, and bringing economic activity to many economically marginalised rural areas of the country. It stands as a successful global model of the benefits of delivering infrastructure in a weakened economy, both in terms of stimulating demand, and attracting investment. It is important not to underestimate the impact of the REIPPPP of “crowding in private investment”. In only three years the programme has attracted US$14 billion of private sector capital, which has in itself acted as a significant stimulus to the local economy. It is quite probable that these projects will be self-financing for the public purse, in that although the government provides a fixed price for the electricity produced, the cost of doing so will be paid back through general economic growth, and a reduction in the country’s debt-to-GDP ratio. Companies like mine have grown in South Africa as we seek to develop and build new infrastructure under the REIPPPP. As the government looks to review its medium term energy strategy I would urge them to extend this programme, and procure a consistent amount of new renewable energy every year for the next two decades. [caption id="attachment_259" align="alignright" width="300"] Class of 2014 Maths and Science Academy[/caption] At present, over forty percent of the capital expenditure necessary to build wind and solar power plant in the country is used to acquire goods and services supplied from South Africa. This figure could be much higher if the Government were to commit to the REIPPPP over the next twenty years. I have made the point with Government on a number of occasions that no matter which boilers are chosen for coal plant, or which steam or gas turbines are deployed, they are unlikely to be manufactured locally. However, with wind and solar PV broadly everything can be manufactured here given sufficient demand. 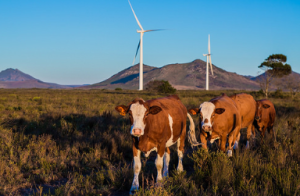 This month’s opening of the GRI wind turbine tower plant at Atlantis, Cape Town, is a clear example of this developing trend. Not only will equipment be manufactured for the domestic market but the rest of sub-Saharan Africa could also be supplied from here. In addition, the REIPPPP has delivered new generation plant onto the grid on time and on budget, with a levelised cost of energy less than that forecast for new coal plant. This is a remarkable achievement for the Government, and is indicative of the extensive solar and wind resources available in the country. [caption id="attachment_260" align="alignleft" width="150"] Jac Laubscher, Sanlam Group Economist[/caption] Why is all this important to the sixty Kimberley graduates? 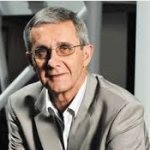 In a powerful analysis on the impact of secular stagnation on the South African economy Jac Laubscher, Sanlam Group Economist, wrote this month that one of dangers is the potential for this stagnation to reduce the contribution of education to the development of human capital. His remedy lies in structural reforms which would include improving the education system, investing in physical infrastructure and increasing incentives for low-skilled workers to enter the labour market. I agree. That is why Mainstream is backing the Kimberley Academy and investing in new national infrastructure. The Academy’s stated Vision is to provide support and opportunities to foster success and ultimately increase the number of future scientists, engineers and leaders of calibre needed for the growth of South Africa’s economy. That is an ambition that we, and the other supporting partners across government and the private sector, fully endorse. I anticipate that the Kimberley graduates will have a huge part to play in helping to design and build the new infrastructure that will return this country to a period of significant growth. There is another factor at work, which gives rise to optimism that we are headed in the right direction, and that there is a route out of secular stagnation. It is the impact of new technology, like renewable energy, on the economies of developed and developing nations. In a book published this year, The Second Machine Age, the authors argue that it can take some time for breakthroughs in technology to fully affect productivity. Although US factories first used electricity in the 1890s, productivity growth didn't accelerate until the 1920s. This, they argue, was because electric motors at first just replaced steam ones. It was only when staff accustomed to the steam era retired, to be replaced by younger colleagues familiar with electricity's potential, that plant was reorganised to take advantage of electricity. In a recent review of the book, a commentator asked, in the context of secular stagnation, whether behind the apparent global slowdown, we may also be seeing a pause as we adjust to new technology. That is certainly the case in South Africa, as we shift from old and dirty fossil fuels to the sustainable renewable resources of the future. It will be our Kimberley graduates who will deliver this future for us.